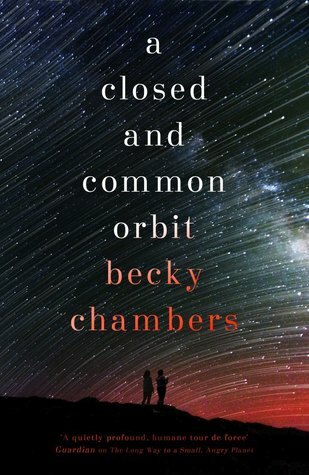 Lovelace, the AI that operated on Wayfarer, the ship in Becky Chambers excellent first novel, The Long Way to a Small, Angry Planet, decided she wanted a different life. A life in an autonomous, human-format body. A life that, in the Galactic Commons, is rather inconveniently very, very illegal. Yet here she is, in this new, freer yet more limited form, still learning what it's like to be apparently human, traveling with the rather volatile engineer, Pepper, to Pepper's home to learn who she is in this new form. Chambers explores both how Lovey adapts to her new circumstances, surrounded by biological sapients and cities that aren't bounded by walls, and the slow unveiling of Pepper's background, painful past, and loss of the only real family member she ever had. There's a lot of excellent character building and world building here. It makes for a layered, textured world, and an even more satisfying reading experience than in the previous book.